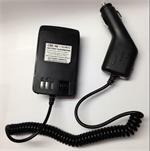 Home > DC Power Cords > CP-46 : DC Power & Charge Cord for Alinco DJ-V5, V5T/TH radios, etc. 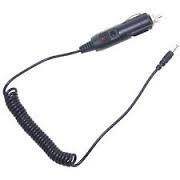 The CP-46 is a DC Power & Charge Cord for the Alinco DJ-V5, DJ-5T/TH radios, etc. Plugs into 12-13.8VDC socket; has coiled cord; other end plug directly into side of radio. Provides High-Watt TX power to radio, and can also slow-charge the Ni-Cd or Ni-MH battery attached to your radio. CBE-46 : battery eliminator for ALINCO radios. Fits DJ-V5, DJ-V5TH. The CBE-46 is a battery eliminator for ALINCO DJ-V5, DJ-V5TH radios, etc. It plugs into 12-13.8VDC socket, has coiled cord, and clips onto radio. Provides High-watt TX power. EMS-A46 : desktop Rapid Charger for EBP-46N, EBP-46H, EBP-46xh battery packs. Fast, smart, automatic. Charges battery & HT together, or you can charge a battery alone. Good for both Ni-Cd AND Ni-MH types.